Bat rolling is a process that can add incredible pop and distance to any softball or baseball bat. Everyone knows that bats get hotter after about 500-800 hits. The trouble is, by the time you have put that many hits on the bat it is well on it’s way to being worn out. By rolling your bat you can enjoy the bat’s maximum potential from the very first swing without putting all the wear and tear on it. The bat is placed between two rollers and then pressure is applied so that as the bat passes through the rollers the bat’s fibers are stretched out. This causes the fibers to become more flexible which greatly improves the bat’s trampoline effect when the ball hits it resulting in increased batted ball speed and distance. It will make the sweet spot bigger and much more consistent as well. The graph below was taken from a study that was done on softball bats. It shows the improvement in batted ball speed of two different bats before and after being rolled and also two rolled/shaved bats. Most of the people rolling bats decide what the maximum pressure is they’re going to roll a bat at and they start out right at that pressure, run the bat through the machine a few times and they’re done. This is usually what causes bats to lose their durability or the paint to spiderweb. You may get your bat back from being rolled and think everything is fine and then have it break on you 3 weeks later. When we roll a bat we take the pressure we are going to end up at, divide it by four and start there. Then, each successive cycle we adjust the pressure up 25% so by the time the bat sees it’s max pressure it is ready for it. By rolling a bat this way it will make 160 passes through the machine. This process takes much longer than most companies offering bat rolling are willing to take. We have shopped several of our competitor’s and actually sent them bats and with most of them we couldn’t tell any difference in performance and one of them sent the bat back with creases and vice marks on it! Lastly, and probably most important, we know exactly how much pressure each bat needs to reach it’s hottest potential without decreasing it’s durability. There is a lot of variance on how much pressure to apply to different bats. Don’t let someone experiment on your $300 bat! This is one of those businesses that is too easy to get in to and tends to attract a lot of fly by night people. For $500 you can become a bat roller! We are hearing more and more horror stories about bats being broken, paint cracking, creasing and vice marks and just plain lack of any results at all. 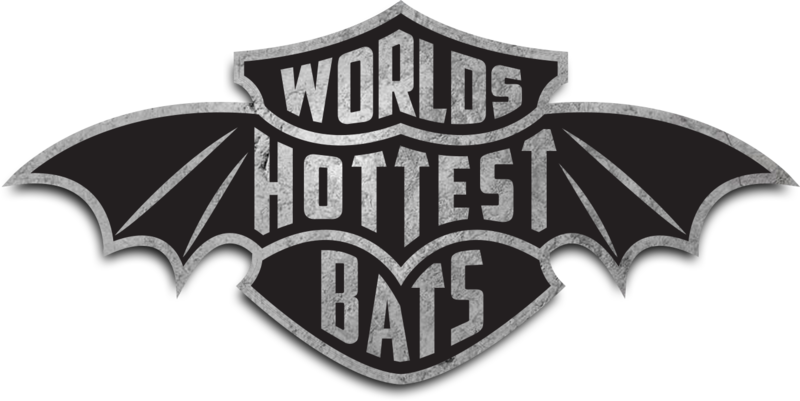 Many bat rolling companies advertise that they use “Heat Rolling”. This is basically heating up the bat before rolling it. We have done extensive testing rolling bats after heating them and found that it actually is counterproductive to breaking in the bat. The heat temporarily stretches out the bat’s fibers so that when you roll it you are not accomplishing any break in. Then, after the bat cools the fibers contract and go right back to where they were before being rolled. We have tested this with a bat compression machine by taking readings before and after being heat rolled. We believe using a compression tester is absolutely imperative before and after rolling bats to determine how flexible the inner walls are. This helps us both determine the correct rolling machine pressure and also confirms that we have achieved our goals with each bat or if additional rolling is needed. To our knowledge we are the only company using a compression tester in this way.